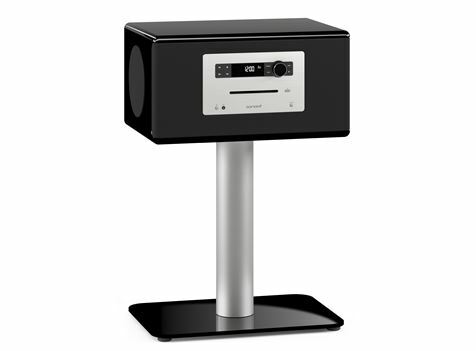 Sonoro-German Engineering, Audio Reliability, Style with Class. Turn your living room into Milan’s La Scala, New York’s Madison Square Garden or Roskilde Festival. 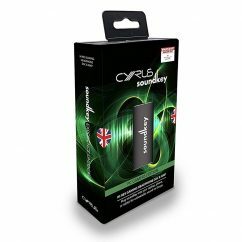 Experience symphonic sound quality as if you were live at the concert. The SonoroHIFI high-end three-way stereo music system does full justice to every note, every nuance, every bass and every treble with unparalleled power and precision. The special D’Appolito configuration of our speakers minimises reflection from floors and ceilings, which guarantees a much better sound and excellent separation of the stereofield. 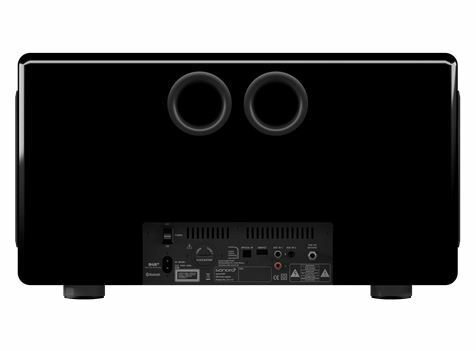 Revolutionary sound experience, comfortable controls and innovative design – all in one device: the sonoroHIFI high-end three-way stereo music system is the new benchmark standard in home audio – a compact high-performance sound system developed for true music aficionados. Simply plug in your SonoroHIFI, press the ‘Start’ button and choose your preferred input source – for example the DAB/DAB+ digital radio. 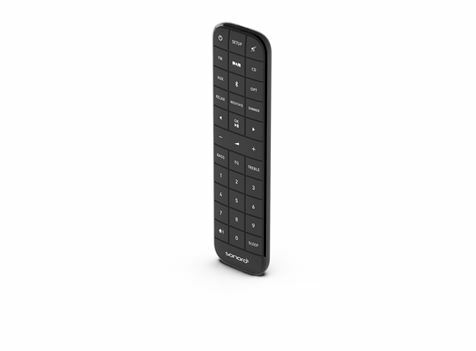 All functions can be comfortably controlled, either on the device itself or using the SonoroHIFI remote control. The controls are as intuitive and user-friendly as can be, so you can focus on what matters most: the SonoroHIFI’s exceptional sound quality. Just insert your favourite CD, press ‘Play’, and enjoy your music with a brilliance of sound you’ve never experienced before. No need to fiddle with switches and controls or adjust network devices. Connect the SonoroHIFI to the optical socket of your TV set and enjoy your favourite series or movie in cinematic sound quality. Or watch documentaries and hear the presenters as clearly as if they were sitting right next to you. 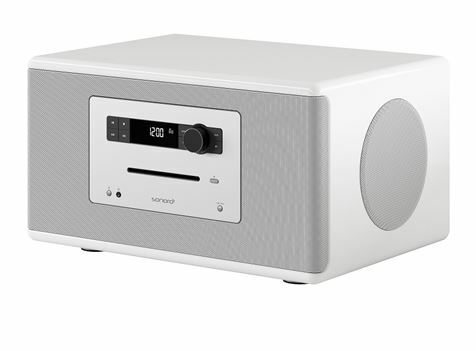 Use the SonoroMUSIC app to stream your favourite radio station straight to the SonoroHIFI high-end music system via Bluetooth®. 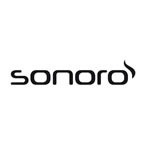 The SonoroMUSIC app is completely free and gives you access to over 80,000 online radio stations with more than 120 different music genres. Revolutionary sound experience, comfortable controls and innovative design – all in one device: the SonoroHIFI high-end three-way stereo music system is the new benchmark standard in home audio. 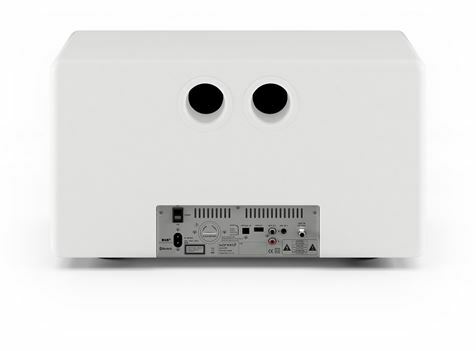 A compact high-performance sound system developed for true music aficionados. 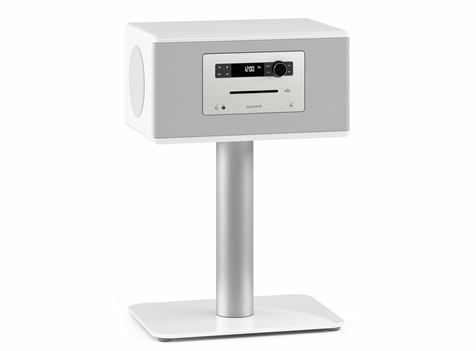 To add a further design highlight, the SonoroSTAND is available as an optional extra to complement the SonoroHIFI high-end three-way music system. An elegant brushed aluminium column is anchored in a glass floor plate, available in either white or black solid glass. 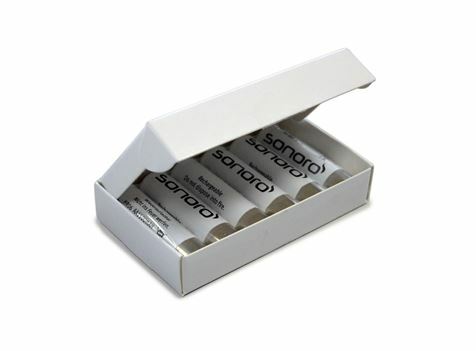 With the SonoroSTAND you can place the SonoroHIFI anywhere you like. 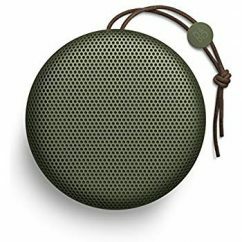 For complete design flexibility and great sound.